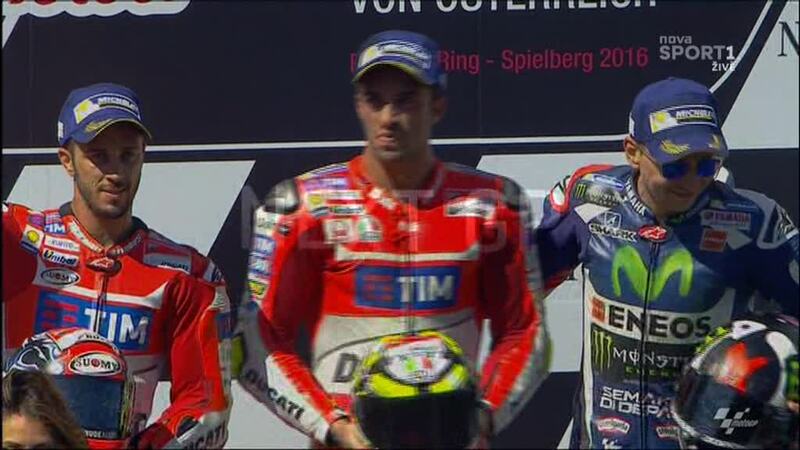 Austrian GP Race: Finally Ducati Made It! Andrea Iannone has taken the first win for the Ducati Team since Casey Stoner last took the red machine over the finish line at Phillip Island in 2010. The Italian, for whom the victory is his first, held off pressure from teammate Andrea Dovizioso as the Ducati duo took off in the second half of the race – and took a 1-2 for the Borgo Panigale factory for the first time since 2007. 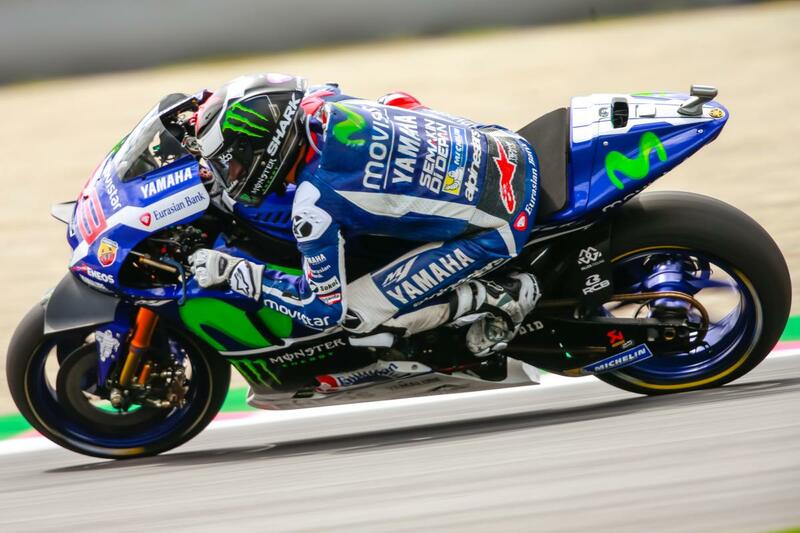 Reigning champion Jorge Lorenzo (Movistar Yamaha MotoGP) completed the podium in P3 to beat teammate Valentino Rossi to the rostrum – and cut the gap to points leader Marc Marquez. Iannone began the race from pole and got a great start off the line to lead into Turn 1, with drama behind as Marc Marquez (Repsol Honda Team) went in hot and ran wide in an incident that also affected fast-starting Lorenzo. “The Maniac” was the only rider to change to the medium rear tyre allocation, in addition to suffering with pain in his ribs from a motocross accident, but after being passed by Dovizioso was able to fight back against his compatriot and eventually crossed the line ahead to take the historic win. Dovizioso had an impressive race and led a good many of the laps at the Red Bull Ring, proving a worthy rival in the duel at the front. With a harder tyre option than his teammate, the veteran rider was however unable to quite close on his compatriot in the final few laps and crossed the line P2 in his 250th GP start – completing a historic result for the Desmosedici after a drought of difficult results. Jorge Lorenzo has had a difficult run in the last few races of 2016, but the reigning Champion showed exactly why he has that title in a calm ride under pressure – getting back onto the podium in P3. 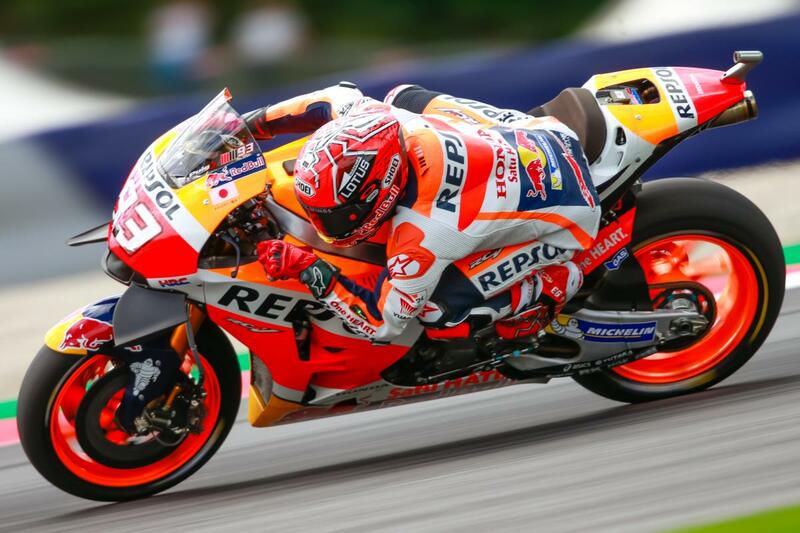 A spectacular double overtake early in the race was a highlight for the 5-time champion as he fought for the lead, before a determined ride ensured the Mallorcan was the only man in the top three of the title to gain on a rival in Austria – with leader Marc Marquez in P5 and Rossi in P4. Marc Marquez suffered a bad crash in FP3 that saw the points leader dislocate his shoulder, but the Spaniard rode on into an impressive top five finish despite the Repsol Honda Team not having tested in Austria. 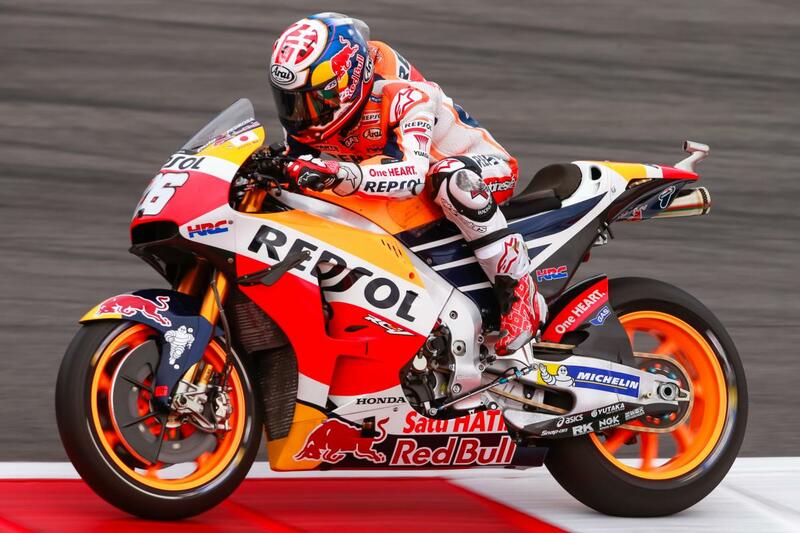 The championship leader held off pressure from Maverick Viñales (Team Suzuki Ecstar) throughout to protect his large title margin and do some damage control, with the second Repsol Honda of Dani Pedrosa crossing the line in P7. 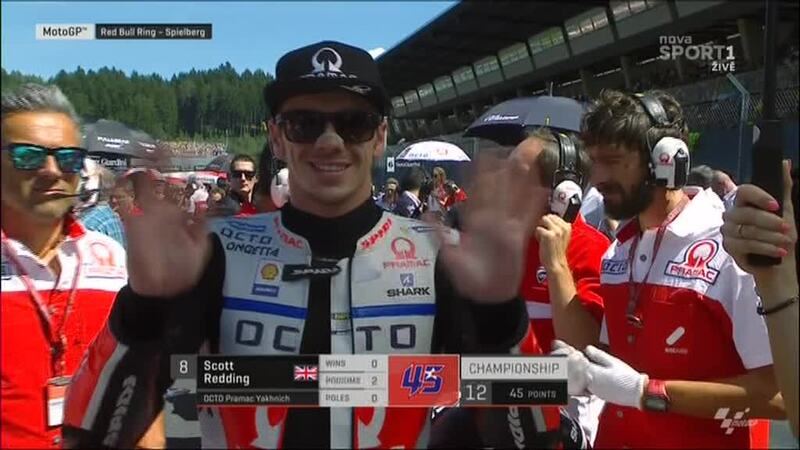 Scott Redding came through into P8 for another good result for Octo Pramac Yakhnich, ahead of the Monster Tech 3 Yamaha duo of Bradley Smith and Pol Espargaro. The next race sees the paddock move north to Brno in the Czech Republic for another incredible showdown as the Ducati Team arrive as winners for the first time in 6 years. 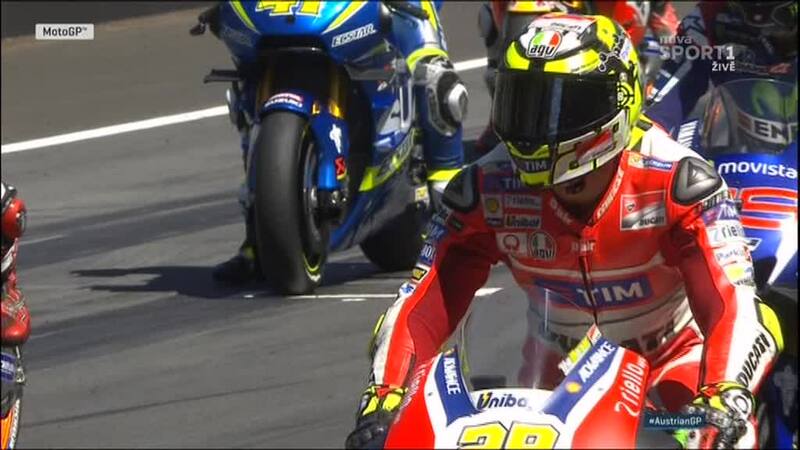 Andrea Iannone took pole position in the final few seconds of qualifying on Saturday at the Red Bull Ring, but the Italian had a little more breathing space on Sunday as teammate Andrea Dovizioso proved unable to get quite close enough on the final lap to launch an assault. The victory was the first for the team since Casey Stoner’s initial departure to Honda, and the first 1-2 since Phillip Island in 2007. 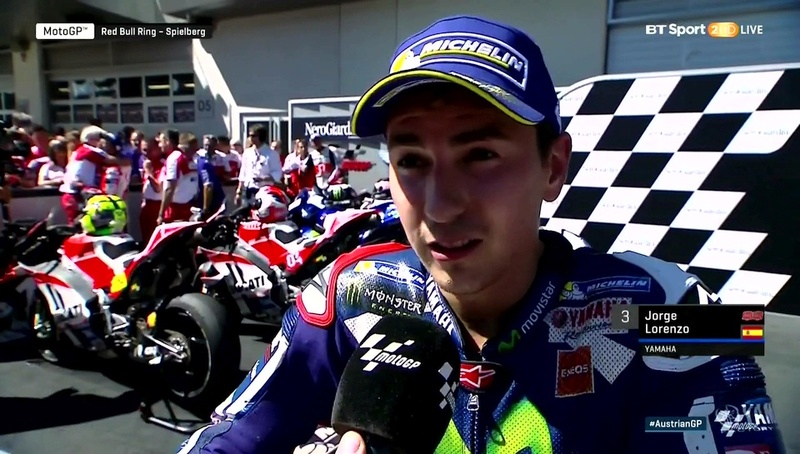 After some more difficult races, Jorge Lorenzo (Movistar Yamaha MotoGP) came back with a bang in Austria, as the 5-time world champion came from the second row of the grid to challenge for the lead at the Red Bull Ring – including a spectacular double overtake – and was able to finish the race much closer to the Desmosedicis than expected. With title rivals teammate Valentino Rossi and Repsol Honda rider Marc Marquez finishing the race in P4 and P5 respectively, Lorenzo’s ride under intense pressure made him the only man in Austria to gain points in the top echelons of the title fight – and proved a good springboard for Brno as MotoGP™ returns to the scene of a dominant win for number 99 in 2015. Andrea Dovizioso (Ducati Team) has had a fantastic weekend at the Austrian GP, with a front row start followed up by a challenge for the win and eventual podium. 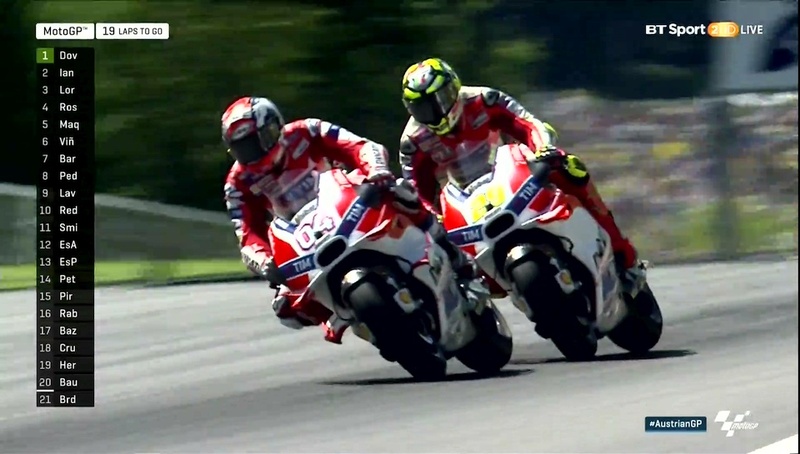 After teammate Andrea Iannone made a last minute decision to change to the medium rear tyre, Dovizioso found himself unable to get close enough to the sister Ducati as the final lap approached, and had to settle for a P2 finish. Marc Marquez (Repsol Honda Team) suffered a dislocated shoulder during FP3 in Austria, as the double MotoGP™ world champion lost control of his Honda and narrowly avoided a collision with teammate Dani Pedrosa, but still managed to take a top 5 finish after a more difficult weekend than many in 2016. Marquez, who went into the Austrian GP with an incredible 48 point lead, rode without painkillers on race day and came home in the top 5 for a superb display of damage control – keeping his advantage above 40 points at the top of the table. 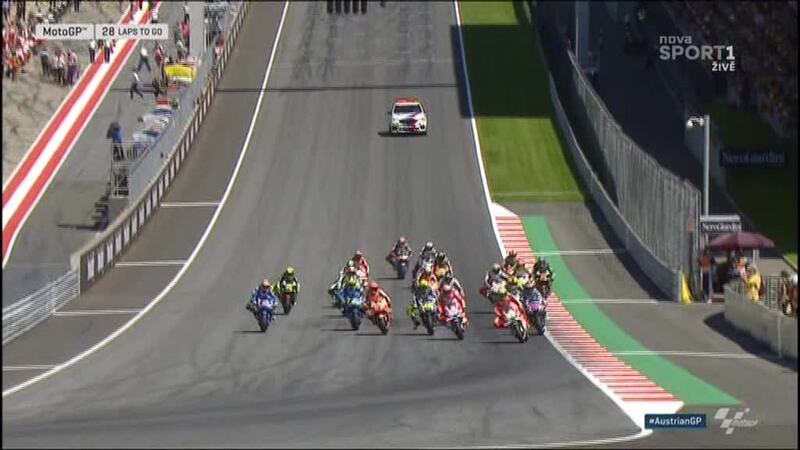 Repsol Honda Team’s Dani Pedrosa had a harsh start to his experiences of the Red Bull Ring, as the Spanish veteran suffered a crash on Friday morning that saw him lose track time and some confidence, with no warning prior to the incident. The 3-time world champion gained two seconds overnight from Friday to Saturday as he worked on improvements and got more heat in the tyres, before a difficult qualifying saw him beginning the Austrian GP from P12. Moving up in the race, the Sabadell native crossed the line in P7 after working his way through and proving much more competitive on Sunday. 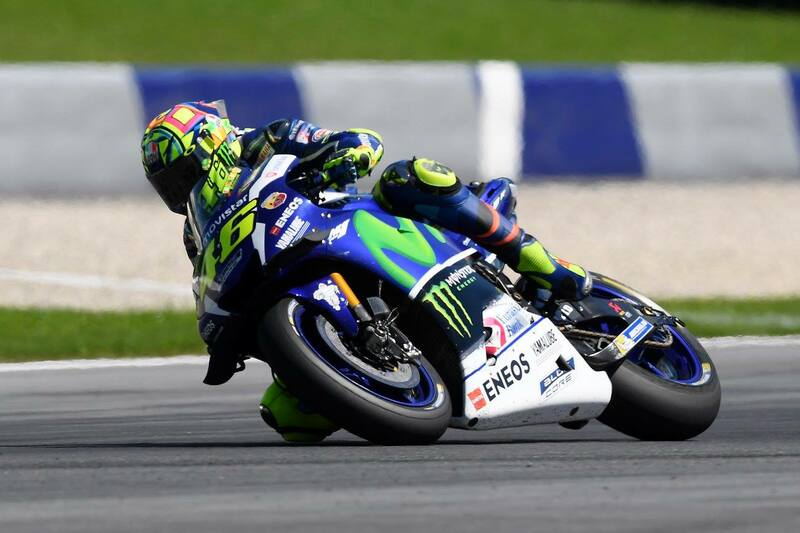 Valentino Rossi (Movistar Yamaha MotoGP) split the Ducatis in qualifying, but the Italian veteran was unable to repeat the feat in race – coming home behind teammate Jorge Lorenzo in P4 after proving unable to challenge the Mallorcan for the podium. Close to the Spaniard for much of the race, the 9-time world champion pressured but was unable to pass – although the P4 does see the Riviera di Rimini rider gain on Marc Marquez (Repsol Honda) in the points standings as the 2013 and 2014 world champion came home in P5 after dislocating his shoulder in FP3 on Saturday. 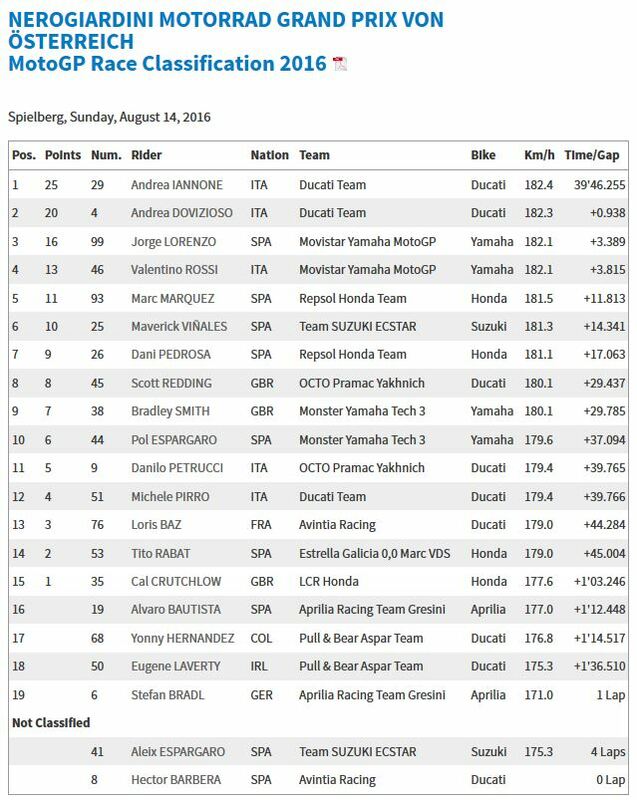 Before the Austrian GP, Scott Redding (Octo Pramac Yakhnich) had crossed the line P4 in the previous two races, including a podium in Assen. In the dry with a more level playing field at the Red Bull Ring, the Brit took his Ducati to a top 8 finish and into parc ferme as the top independent team rider.